October 1, 2015 – and with it, the mandated shift to the ICD-10 code set – is right around the corner. Though the implementation date has changed before (three times since 2009), there seems to be no postponement on the horizon this time around. The CMS recently successfully completed its first week of end-to-end testing of ICD-10 coding and announced its opinion that the “industry is ready to take the next step to modernize healthcare.” But they may not be right about that. A new survey found that only 21 percent of physician practices feel they are on track with preparation efforts. That’s not a good sign! Are you prepared for the switch? According to the Healthcare Information and Management Systems Society, providers will likely face delays in processing authorizations, increased claims rejections and denials, improper reimbursement, and slowed or reduced cash flow as a result of ICD-10. Some of those effects may be unavoidable, but there are a few steps you can take now to minimize the impact of ICD-10 on your practice’s operations. You should know your payers pretty well by now, and understand which ones are pickier than others. But that will all change with ICD-10. The codes in the new system can provide far more detail than those in ICD-9. Consider an incident in which a patient arrives with an injury on the playing field – he got hit by a ball. In ICD-9, you’d code that the patient was “struck accidentally in a sport without subsequent fall.” But in ICD-10, there is one code for “struck by a football, baseball or golf ball, etc.” as well as 23 more codes for the specific factors involved in the injury. Will a payer deny your claim if you don’t denote the type of ball involved? Testing is the only way to find out if a payer will deny a claim because the information provided is not specific enough. So find out if your software vendor provides end to end testing or if your practice is on the hook for testing. With increased specificity comes an increased need for more detailed documentation. Your physicians and non-physician providers need to be trained now – before it’s too late – to document every piece of information that could be valuable to your coders. Audit a sample of recent charts and try to code them in ICD-10. How specific can you get? What type of information is being left out? Make it clear to practitioners that if they fail to document properly, they’re putting your practice’s revenue at risk. ICD-10 is a big, big change. If you haven’t invested wisely in staff training before now, you may have set your practice up for failure. 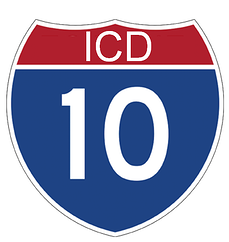 Can your billers and coders handle the ICD-10 transition? Have them participate in testing to evaluate their aptitude and comfort level with the new code set. If you’re not confident in their performance, consider your options. How many well-trained billers and coders would you need to hire to fill your gaps? How much would that impact your budget? Contracting with a medical billing company can be a smart way to put a knowledgeable, accountable party in charge of the hardest parts of the ICD-10 transition. If you think that may be the right choice for you, start shopping for a medical billing firm now – they’ll be in high demand come fall.